Gc protein is used by what is termed Macrophages which are the proteins found in the body that kills cancer cells. Gc protein attaches itself to Vitamin D and converts to become GcMAF which is an immune system enzyme protein called Vitamin D Binding Protein Macrophage Activating Factor. The immune system is being compromised by various methods causing Immune deficiency syndromes and other conditions, the enzyme/protein found to be being introduced virally is : alpha-acetylgalactosaminidase, or Nagalase. Nagalase, is an enzyme/protein being introduced into children after they are born. The many murdered alternative doctors are said to have been working on this very knowledge and connected it to an ingredient in the vaccination programs. Nagalase prevents Vitamin D from binding to the Gc protein which prevents the natural conversion into GcMAF. 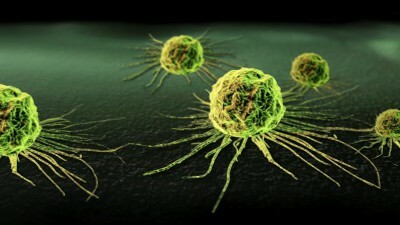 This completely strips the body of it’s natural ability to kill cancer cells. Nagalase is a protein that is created by all cancers and viruses and is sent out into the body to destroy the GcMAF. This prevents the body from utilising the Vitamin D necessary to fight cancer and also needed to prevent autism. Nagalase is also known to disable the immune system. Sufferers of Autism are found to have high concentrations of Nagalase that was not present at birth. Nagalase is like a stealth bomber, it blocks the production of the GcMAF, thus preventing the immune system from doing its job. Nagalase detection in the body is a great marker when looking for signs of Cancer, HIV-Aids and other chronic infections. Nagalase pinpoints the GcMAF on the R & B. Lymphocyte and wipes them out. It never misses its target. Vaccine adjuvant squalene, is it safe for elderly patients?